In the real world we almost always deal only with objects that possess such properties as incompleteness, imprecision, inconsistency, subdefinitess, etc. For this reason, the study of these properties and the nontraditional methods of knowledge processing that are based on them is a very important direction of research. This paper describes a novel approach to solving problems that is based on subdefinite calculations. The use of these methods makes it possible to solve overdetermined and underdetermined problems, as well as problems with uncertain, imprecise and incomplete data. Such problems can be expressed in terms of subdefinite models (SD-models). 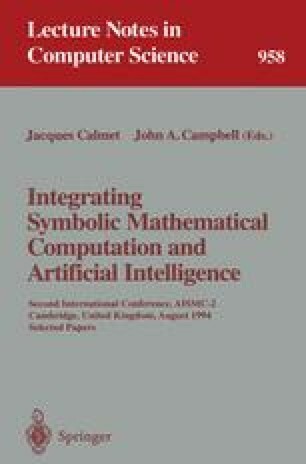 Propagation of mathematical constraints in all the SD-models is supported by a single data-driven inference algorithm. Several examples are given to show the capabilities of this approach for solving a wide class of constraint satisfaction problems.